The OPI Fifty Shades of Grey spring 2015 nail polish collection can be your ultimate style craving for the upcoming Valentine’s Day, since it has all the necessary nail shades to prep you for your romantic date and is set to hit the beauty counters on Valentine’s Day weekend in 2015. As the name already hints, the collection has been inspired from the popular movie, bringing versatile and elegant nail lacquer colors ranging from deep passionate red to the iconic grey. So although its name is grey, the collection isn’t entirely about grey tones and we can also find trendy metallic hues here. • Shine for Me ” This shimmering silver with subtle blue sparkle really turns me on! The color descriptions given by the brand perfectly capture the style and mood of each nail lacquer. So trust your inner fashionsta and pick the shades that best describe your personality! 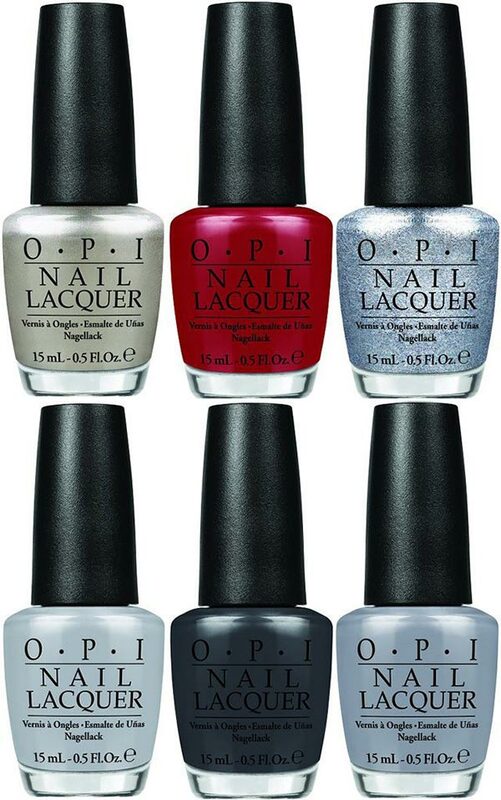 While the international launch date of the OPI Fifty Shades of Grey spring 2015 collection is scheduled for February, those living in the U.S. can already purchase their favorite shades.